For over two decades we have worked with some of the world’s leading Healthcare, Pharmaceutical, Electronic, Food, Agricultural and Packaging companies, advising on appropriate conveyors and belt types. We offer the largest variety of belts available in Ireland. In association with The Nitta Corporation, CPS can offer a 24-hour service of in-house vulcanising and next day delivery of critical belt types. Utilising the technical resources of the company, the CPS Belts Division offers clients belt auditing and 24 hour call out service. Part of the service offered by CPS is a ‘free of charge’ Belt Audit. A member of our Technical Sales staff will come on site and measure every belt within your company including tolerances, roller diameters, cleats, sidewalls and centre guides where relevant. Each conveyor will then have a unique code applied to it that is the order code for that specific belt. All of this information is stored in a Belt Database at CPS, enabling full details to be retrieved immediately when the number is quoted. We also note any special instructions against each belt e.g. can only be replaced during evenings or weekends or must be vulcanised on site. Once the audit is complete and the information is on our system we will provide you with a detailed report of all of your conveyor belts and a fixed price for each one that will remain in force for 12 months. At the end of 12 months a new price list will be issued to you. 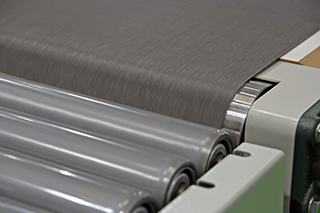 This system makes the ordering of spare belts as uncomplicated as possible for customers and enables us to hold the right belt materials in stock to reducing lead times for our customers.